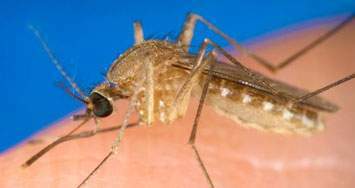 (Santa Ana) – A 51 year-old resident of the city of Orange tested positive this week for West Nile Virus (WNV) infection, becoming the County’s first human WNV infection in 2015. This is the 19th human case of WNV reported in California this year. The man experienced symptoms during the third week of July and has completely recovered. In 2014, Orange County reported the highest number of human infections of West Nile virus in the nation with 280, including nine deaths. OCMVCD uses more than 10 years of sampling data collected during routine monitoring and testing of mosquitoes, dead birds, and human infections to determine areas of greater risk throughout the county. To date in 2015, OCMVCD confirmed West Nile virus-positive test results from the City of Anaheim, City of Cypress, City of Fullerton, City of Huntington Beach, City of Orange, City of San Juan Capistrano, City of Santa Ana, City of Tustin, and City of Yorba Linda. So far this year, OCMVCD has reported a total of 81 positive mosquito samples and ten dead birds. There are no reported human cases at this time. A total list of all positives can be found at www.ocvcd.org. Contact the Orange County Mosquito and Vector Control District to report dead birds or neglected pools. 714-971-2421 or 949-654-2421 or www.ocvcd.org.